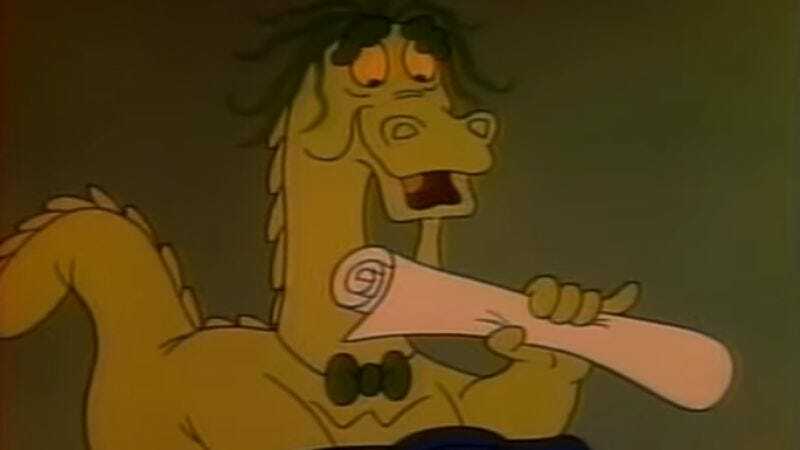 Perking up the ears of lazy drug reference fans everywhere, Fox has announced that it’s putting a Puff,The Magic Dragon movie into production. Based on the 1963 folk hit by Peter, Paul, and Mary—whose surviving members will now get to spend another 50 years or so futilely denying that their sad little tune is about getting high—the film will be directed by Mike Mitchell, who recently gave DreamWorks a modest hit with Trolls. Mitchell will be branching out into the real world this time, with Deadline reporting that the film will be a hybrid of live-action and animated footage.